A new era has dawned in the colonial lighting and country lighting field, the LED bulb has finally broke through the very traditional mindset of the colonial and country décor enthusiast, to replace its inferior incandescent counterpart. This breakthrough was long over do, but up until recently there just weren’t any viable replacements for the incandescent candelabra bulb. LED bulbs at the outset were rather cumbersome and unattractive in appearance, while giving of an almost blue colored light. All of that has changed as the LED industry continues to evolve with better designs, natural light colors, and more energy efficient bulbs. In the “good old days” one went to the store and bought a 4 pack of 40 watt incandescent candelabra bulbs for around $2.99, and then hoped they lasted the better part of a year. One of these little bulbs used up about $11 worth of energy a year to operate, that to has changed; you can operate an LED bulb for just over $1.00 per year. LED bulbs are friendly to the environment in more ways than one, not only do they save energy, but they do not contain the mercury found in CFL bulbs. One can’t talk about incandescent bulbs without remembering how hot they get, remember the burnt fingers from touching them? The new LED bulbs are now cool to the touch! 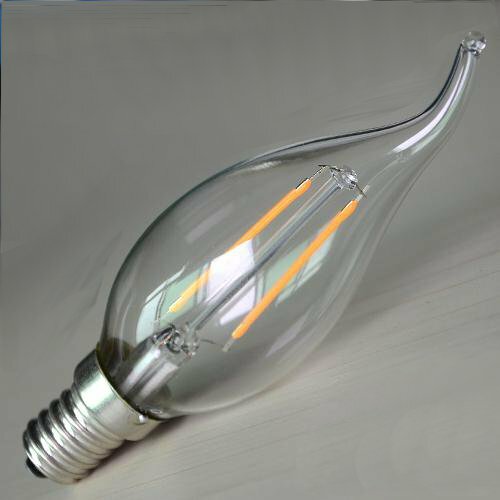 Just recently bulb manufacturers have released an LED bulb that mirrors just about everything you liked about the old incandescent bulbs and then gives you some advantages as a bonus. Appearance, light color, dim-able, instant on, brightness, check, check, check LED’s are all that and much more! 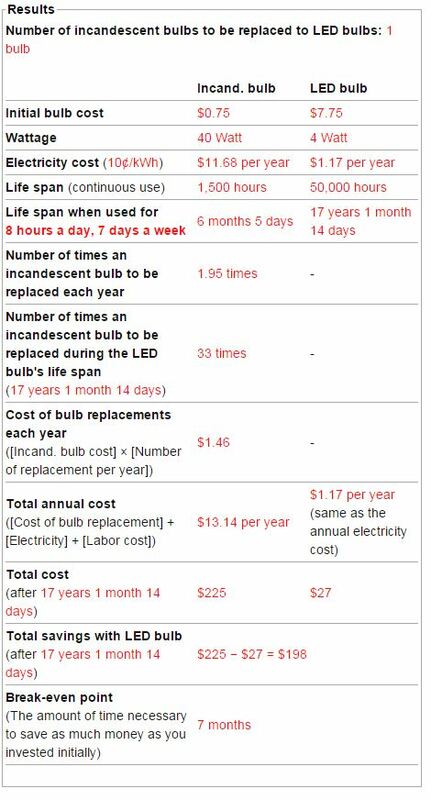 Below you will find a chart describing the savings advantages to using an LED bulb.